Classic design meets modern style. 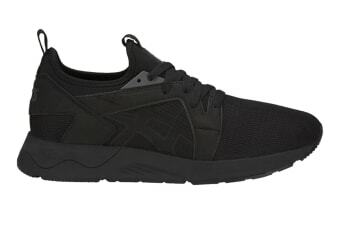 With an iconic silhouette and stylish mesh material, the ASICS Tiger Unisex Gel-LYTE V RB Shoe is the perfect blend of comfort, retro-style and modern design. Slip in and out of uber cool style with ease when you wear Gel-LYTE V RBs, featuring a thin mono-sock that fits to your foot like a glove. Combined with supported lateral movement via the cushioned heel protector, the Gel-LYTE V RB blends retro design with extreme comfort.